Clipper Card is a new San Francisco bay area transportation payment system intended for all main public transportation systems, including Caltrain, BART (subway), VTA (buses) etc. Well, it was a complete disaster so far and I believe it has marked the death of public transportation development in the heart of Silicon Valley (quite ironic, right?). The whole product is simply a joke, my experience today can give you something fun to enjoy. You have to tag on and off once ONLY on the first day of month when you travel in order to activate your monthly pass. No idea why this is necessary, maybe they just want to save one cron job (technical term for scheduled job). If you don’t do this, Caltrain conductor will read that you do NOT have a valid ticket and will either kick you off the train or give you a citation ($250 minimum), even though I think they can see clearly on their device that you have an “inactive” monthly pass on your card. If you tag on in source station and forget to tag off in destination station, Clipper Card will charge you the maximum fare possible from your originating station. Basically they think you are most likely cheating in such cases, and should pay the penalty (“you are assumed guilty”). Okay, if you are still reading, I take you are well educated enough to understand those rules, as I was until this morning. Luckily without a reminder, I remembered to tag on at 10:30 AM on 4/4/2011 (since I didn’t go to work on 4/1/2011). By the way, the card reader message showed absolutely nothing about my monthly pass, it acted as if it just deducted the maximum fare of $8.50 from my card with a remaining balance displayed. The theory is that when I tag off, they will refund my $8.50, and show a very vague “Pass OKAY” message indicating the monthly pass has been activated. Sadly, I forgot to tag 0ff (how can I remember to do it once in 30 days). By the time I remembered, it was already 3 PM. Thinking there might be a time window allowed to travel (some say it is 6 hours), I rushed back to the station and tagged. The super intelligent machine showed something meaning “you just opened another trip, $9.00 has been deducted from your card”. Went back to my office, checked on the online access, right, they charged me $8.50 in the morning already, and now have a new trip of $9 charged. Now the only hope is to call their customer support line to talk to a human. Turns out the time window allowed for travel is only 4 hours, and that’s why they charged me (assuming I am cheating, even though I have a monthly pass on the card). “Congratulations though, your monthly pass has been activated.” – that is the exactly the words from the customer support guy. I had to call them back tomorrow to get both charges refunded, as an one time courtesy, saying the support. I know, they think I am really stupid to “forget” to do such a simple thing once a month. Frankly, this is the most retarded software system I have ever seen. With the help of Clipper Card, the bay area already terribly in deficit public transportation systems may die much quicker. As a consumer, I don’t really care what kind of complicated problems they are trying to solve, if it makes things harder and messier, it is a fail. From design perspective, what went wrong? The purpose of the system is to simplify people’s life. You can’t push the burden to ordinary users to “remember” and “apply” your complicated business flow (if …. else … then ….) just because you are lazy to make it simpler. I have a monthly pass, thus making me remember making an exception once per month is totally un-acceptable. You can’t assume everyone is cheating, they are your valued customers and they are human. Human forgets and makes mistakes all the time. If in your system you know I have a monthly pass, why you still charge me? Guess what, everyone will call your service department for a refund. Do you know how much it costs to take one call? My guess is around $50. Also, those calls won’t improve your service ratings, since it is merely remedying the stupid design flaws in your system in the first place. Customer Support should NEVER the only way to solve a problem. Surprisingly, you can only charge your card in Walgreens store, or online, but you can’t find out what’s going on through them. There is not a single device out there can help you to manage your card (like ATM). If you make a mistake, in any form, you have to call, or risk a citation (which you may have to do, since next train maybe an hour away). By the way, just remembered another funny experience in BART ticket system many years ago (not sure if it is still the case today): I inserted a $20 bill into the ticket machine, instead of directly asking me where I want to go, or how many tickets I want, it gave me a list of options to select: do you want to buy: 5 tickets of $4? or 4 tickets of $4.5? etc. Wow, very intelligent machine, I have to be good at math to understand what you meant. However, why don’t you listen to what I want instead? Luxury car has more than 100M lines of code, while F-22 Raptor has only 1.7M lines of code. 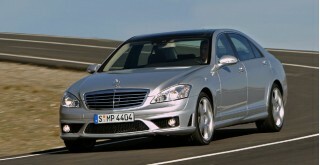 Mercedes-Benz S-class only the navigation system contains more than 20M lines of code. From somewhere else I found that average car from Ford contains more than 10M lines of code. I think we are doomed with this trend. Everybody seems like to reinvent the wheel again and again, no matter how lame they are with it. Same thing happening in the web world, every several months, there are some new kids on the block trying to solve an old problem with a completely new approach. “You don’t throw away the baby with the bath water”, there is some quote like from from Drizzle project (the re-vamp of MySQL project), if I remember correctly. So many NoSQL products are trying to replace the existing rock solid MySQL, backed by remarkable marketing hype (and propaganda campaign machines). Only time will tell, just like how MySQL survived so many years. [update] A colleague found this link, amazing: F22 got zapped by International Date Line.